Aaron L. Friedberg is a Counselor for The National Bureau of Asian Research. He is also Professor of Politics and International Affairs at Princeton University, where he has taught since 1987, and co-director of the Woodrow Wilson School’s Center for International Security Studies. 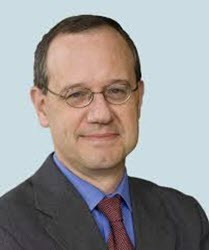 He is also a non-resident senior fellow at the German Marshall Fund of the United States. Dr. Friedberg is the author of three books including The Weary Titan: Britain and the Experience of Relative Decline, 1895-1905 and In the Shadow of the Garrison State: America’s Anti-Statism and its Cold War Grand Strategy, both published by Princeton University Press, and co-editor (with Richard Ellings) of three volumes in the National Bureau of Asian Research’s annual Strategic Asia series. His book A Contest for Supremacy: China, America and the Struggle for Mastery in Asia was published in 2011 by W.W. Norton. His articles and essays have appeared in a number of publications, including the Wall Street Journal, the New York Times, the Washington Post, the Los Angeles Times, Commentary, the National Interest, American Interest, the Weekly Standard, Foreign Affairs, the Washington Quarterly, Survival, and International Security. In 2001-2002 Dr. Friedberg was selected as the first occupant of the Henry A. Kissinger Chair at the Library of Congress. He has been a research fellow at the Australian Strategic Policy Institute, the Norwegian Nobel Institute, the Smithsonian Institution’s Woodrow Wilson International Center for Scholars, and Harvard University’s Center for International Affairs. Dr. Friedberg served from June 2003 to June 2005 as Deputy Assistant for National Security Affairs and Director of Policy Planning in the office of the Vice President. After leaving government he was appointed to the Defense Policy Board and the Secretary of State’s Advisory Committee on Democracy Promotion. Dr. Friedberg received his AB in 1978 and his PhD in 1986, both from Harvard University. He is a member of the editorial boards of Joint Forces Quarterly and The Journal of Strategic Studies and a member of the International Institute for Strategic Studies and the Council on Foreign Relations.